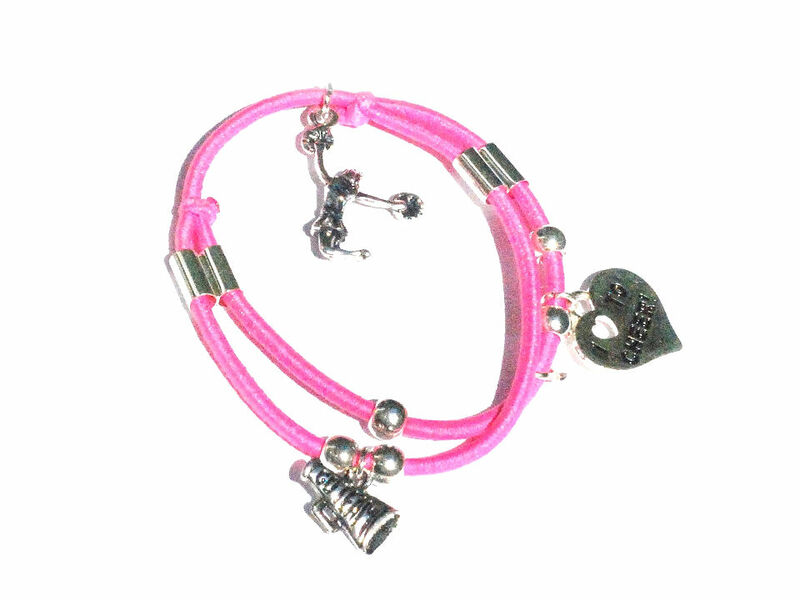 New Pink Stretchable Cheerleader Bracelet with 3 cheer leading Charms. The charms are Jumping Cheerleader, Go team Megaphone and I Heart (love) to cheer charms. The bracelet is also adjustable.